Multiphysics Simulation is at the core of our FEA services here at our Singapore office in BroadTech Engineering. The Designing and engineering Development of products can be relatively straightfor­ward when it is relatively simple, contain just a few components, performs only a single function and when external operating conditions can be perfectly controlled. But as we all in the FEA consulting industry know, this is not the case in the real world environment. 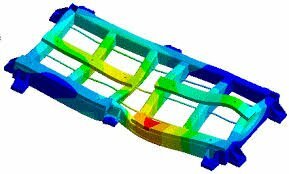 Today’s sophisticated products that traditionally need FEA simulation are getting more complex than ever before and combines a broad range of complex parts and functionality. This dramatically visible transformation of Products over the years is driven by the trend towards functional integration, digitization, and miniaturization. 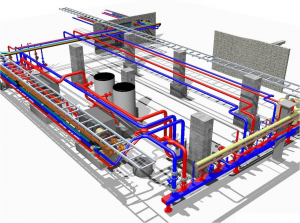 Our engineering team performed the multi-physics simulation of duct-flows and pipe flows while exploring HELYX-OS and Salome opensource tools. The Vortex-induced vibration of cylinders and offshore structures have been the highlight of my Fluid-structure simulation. We also performed a small 2D simulation to study the oscillating force and drag coefficients of a pitch & plunge airfoil. Turbulent flow simulation was explored while performing transient pimpleFoam simulations of cylinders at very high Reynolds numbers and steady state flow analysis of land and air vehicles. The recent projects undertaken include sonicFoam simulation to compute and alter the design of a bullet shell and methods to reduce the drag of a cylinder. Objective: The absence of gravity in space leads to no heat convection. By applying an electric field a induced heat convection can be initiated. Outcome: Applying potential difference between two sides of a cylinder creates an artificial force field that in turn helps the convection to occur artificially. Having a detailed and holistic understanding of how your engineering design performs at a system level is key to ensuring safe and reliable performance. 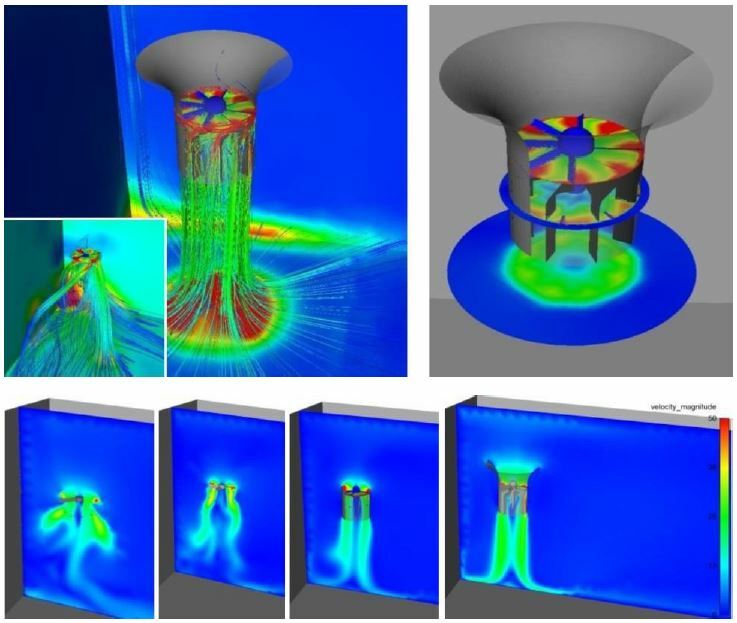 Multiphysics FEA software simulation modeling allows the capability to perform a seamless and integrated FEA analysis study of the interaction between the effects of real-world forces, such as Thermal heat effects, Mechanical structural integrity, Electromagnetic radiation and Fluidic forces which can all influence product performance. This concurrent coupling of multiple physics in a Multiphysics simulation enables for a Fast & Accurate performance assessment of Engineering design at a systems level. 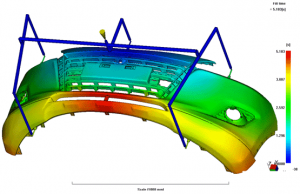 Multiphysics simulation allows engineers to understand and weigh the trade-offs they make when they modify improvement on one particular aspect of their product’s complex performance. Multiphysics simulation plays a crucial role in helping us to understand us valuable insights into how these components actually work together in a realistic operating condition. 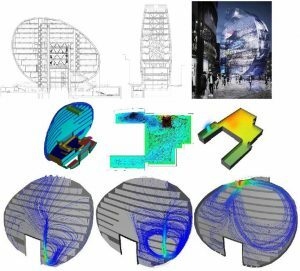 A multiphysics simulation also helps engineering teams to mitigate the critical risk of product failure. Mitigate risk of product failure so as to Lead the market in product quality and consumer Brand reputation. 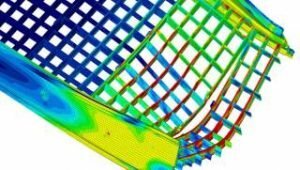 Especially in today’s hyper-competitive globalized marketplace, multiphysics simulation capabilities is more necessary than ever. Engineering teams today can no longer be guided by even the most general theoretical assumptions about how their designs will perform or focus on the one physical force that seems most important. Instead, they require a new simulation software toolset that takes into account a full range of physical phenomena so as to accurately replicate the physical environment in which their prototype designs will operate. Our Engineering Simulation tools and methods must continue to evolve to keep up with the incredible complexity of today’s products. If the Physics and Forces are examined separately in isolation, you may not get a full and Accurate prediction of product performance behavior. 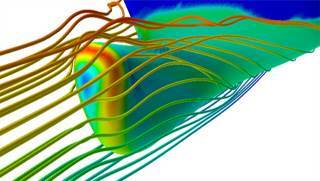 A Multiphysics simulation approach can help you analyze these combined effects in any combination. 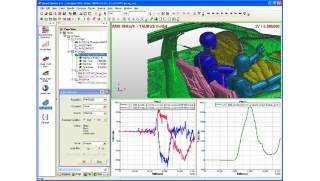 This allows you to achieve the highest fidelity simulation solution and eliminate any risk of problems in performance reliability so as to design products that are safe and effective. If you are still interested in learning more about Multiphysics Simulation and to see what it can do for you simply call to contact us today at +6581822236 for a no obligation discussion of your simulation needs. Our knowledgeable and friendly representative will be happy to assist and understand more about your simulation needs and requirements of your project. In Turbomachinery engineering, when working on reducing blade weight, care has to be taken to not adversely affect Structural deformation and Flow path performance. As consumers and electronics engineers seek towards ever smaller design form factor, they must also concurrently seek to minimize stress and failure rates caused by a build-up of thermal heat in the components. 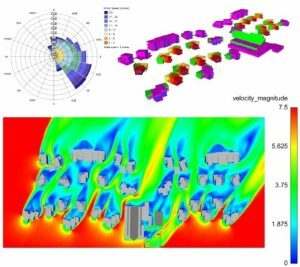 In multiphysics simulation, an electric motor designer can accurately assess how their efforts at reducing weight reduction and enhancing energy efficiency can adversely affect acoustic performance.